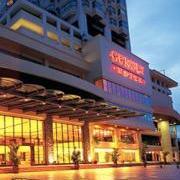 Enjoy a comfortable stay in Penang for as little as USD45 per night at the Berjaya Hotel. Room-only rates start from MYR140 (USD45) for a Super Single Room, MYR180 (USD58) for a Superior Room, and MYR210 (USD68) for a Junior Suite. A 10% service charge and 6% taxes are additional. Quoted prices are available now through December 31, 2012. 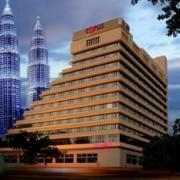 For a comfortable stay for the whole family in downtown Kuala Lumpur, try the “Family Package” at the Corus Hotel. Starting from MYR405 (USD130), the package includes a spacious Family Suite, 2 roll-away beds, buffet breakfast for 2 adults and 2 children, and internet access. A 10% service charge and 6% local taxes are additional. This promotion is available until December 31, 2012. 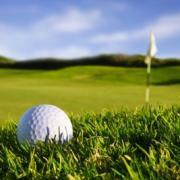 The Bayview Hotel is offering a “Tee Off in Melaka Package” especially for golfers. The package includes accommodation in a Superior Room, late check-out, breakfast, 18 holes of golf, buggy rental, and full facility use. Package rates start from MYR218 (USD70) per person on a weekday. A 10% service charge and 6% local taxes are additional. This package is available until December 31, 2012. Be among the first guests at the Four Points by Sheraton Langkawi and enjoy complimentary breakfast for 2, internet, welcome drink, 20% F&B discount, and late check-out until 3pm. Nightly rates start from MYR360 (USD120) nett for a Comfort Room, MYR560 (USD180) for a Sea View Room, and MYR910 (USD300) for a Junior Suite. The “Great Opening Offer” is available until June 30, 2012. Stay three nights or longer at the Cititel Express Hotel in Kota Kinabalu and choose one of these complimentary perks: a city tour, a one-hour body massage, a one-day car rental, or daily breakfast and WiFi. 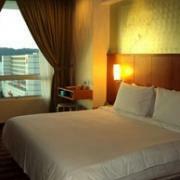 Nightly rates start from MYR133 (USD42) for a Standard Room including 10% service charge and 6% local taxes. The ‘Value Added Offer’ is available now through December 31, 2012. 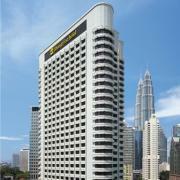 Pay for 2 nights at the luxurious Shangri-La Hotel Kuala Lumpur and receive the 3rd night free! 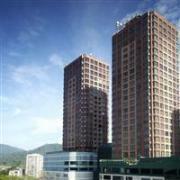 Guests also enjoy complimentary buffet breakfast, Internet, and late check-out. Rates for the payable nights start from MYR795 (USD256) for a Horizon Room. 10% service charge and 6% local taxes are additional. The “Super Saver Package” is available until August 31, 2012. 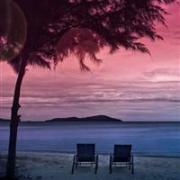 Pay for two nights at the Gurney Resort Hotel in Penang and enjoy the third night completely free! The payable nights cost MYR250 (USD80) for a Studio Suite, buffet breakfast, internet access, a welcome drink, F&B discounts, and resort activities. A 10% service charge and 6% local taxes are additional. The ‘Bonus Free Stay’ promotion is available now through March 31, 2012. Malaysia’s newest sh opping destination, the Premium Outlets Mall in Johor Bahru, is now open for business. This 17,000 square foot mall just outside the city centre offers more than 80 designer stores with discounts from 25 – 70% off everyday prices. 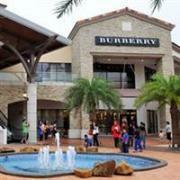 Brands include Burberry, Coach, Tommy Hilfiger, Gap, Puma, Michael Kors and many more. The shops are open daily from 10am to 10pm.